Today is October 5, the last 11th round of the 43rd World Chess Olympiad. 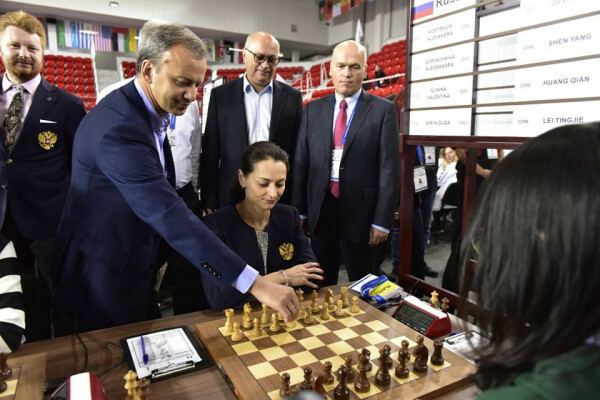 FIDE's newly chosen President Arkady Dvorkovich made the first move on the first board of Women's Section. 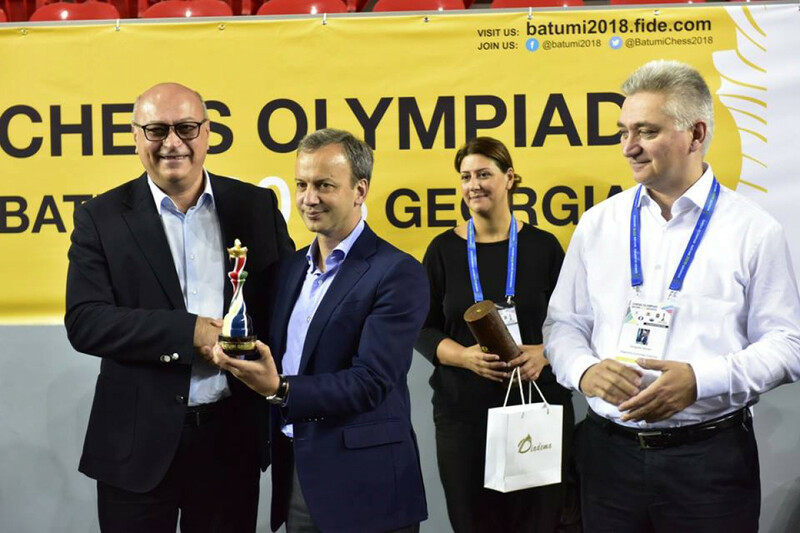 After that the President of ECU Zurab Azmaiparishvili gifted him with symbolic present, made by "Diadema."